Based on the lost island subcontinent romanticised as a utopia, Atlantis Thunder from Oryx Gaming is an underwater adventure. Highlights of the slot include free spins and multiplier wilds along with three tiers of progressive jackpots. Set on the ocean depths somewhere between Africa and North America, the 3-4-5-5-4-3 configuration of reels offer 3,600 ways to win. There are five upper-value symbols, containing Atlantean characters, followed by six lower-value royal flush poker symbols. A motivational soundtrack accompanies the slot which mingles with additional sound effects from activated features or payline wins. The pearl wild symbol may appear on any of the reels and replace all the other symbols except the bonus symbol. There is also the x2 and x3 pearl wilds which counts as 2 or 3 matching symbols in a single column. During the base game, it is possible to unlock 8, 12, 15 or 20 free spins with 3, 4, 5 or 6 scatter symbols respectively. The scatter symbol will also reward up to 240, 600, 1,200 or 6,000 respectively. While in free spins mode the wild symbols are replaced with x2 and x3 wilds. It is possible to unlock additional free spins as per the table or add an extra three free spins with two bonus scatter symbols. The game has a three-tiered progressive jackpot game: silver, gold and platinum. 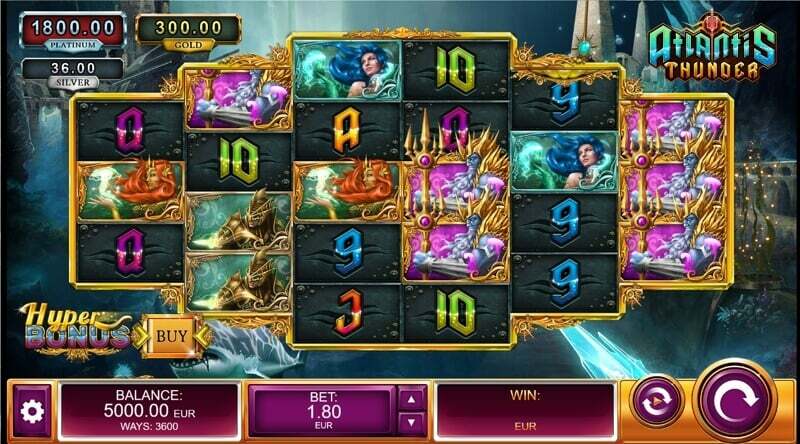 Combinations of Poseidon and wild symbols in sets of 10, 12 or 14 will unlock the silver, gold or platinum progressive jackpots respectively. Here you can win up to x20, x166.667 or x1,000 bet respectively. If you’re tired of waiting around to trigger the free spins feature, then you could opt into the Buy Free Spins option. 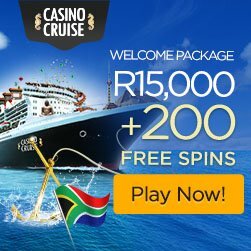 Here you can enter into the 8, 12, 15 or 20 free spins for a price. Atlantis Thunder slot has a return to player (RTP) of between 96.66% and 97.73% and can be enjoyed with a range of wagers starting from 0.60 and ascending to 120. This slot is available on mobile, tablet and desktop. Take the game with you using an Android or iOS device. If you’re ready to dive right in, then try one of our recommended casinos today. Game description: Based on the lost island subcontinent romanticised as a utopia, Atlantis Thunder from Oryx Gaming is an underwater adventure. Set on the ocean depths somewhere between Africa and North America, the 3-4-5-5-4-3 configuration of reels offer 3,600 ways to win.